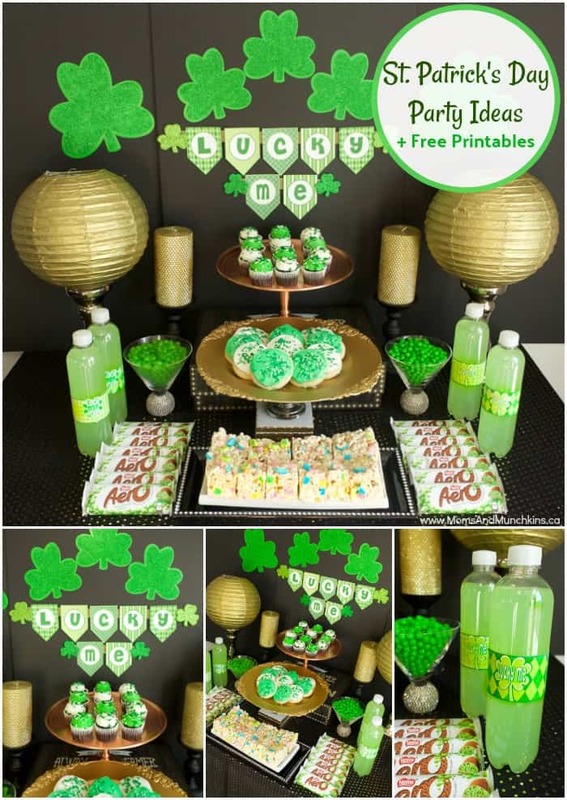 Planning a St. Patrick’s Day for kids? 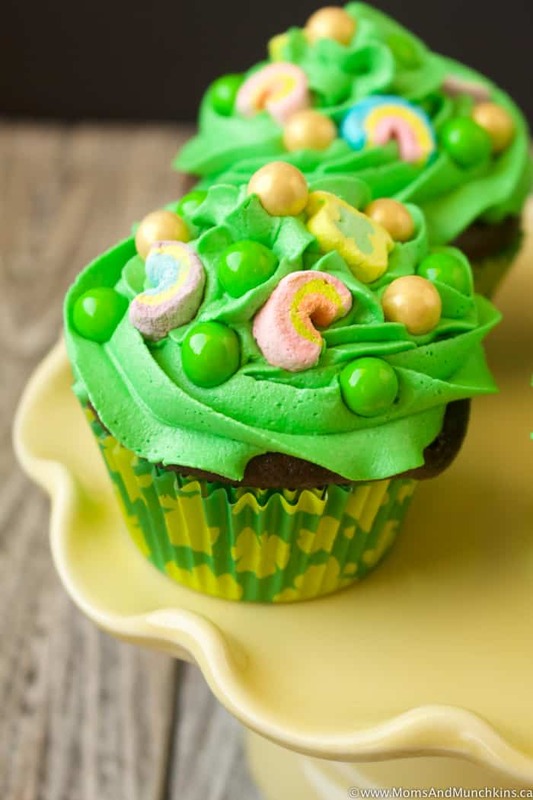 We’ve been loading our special St. Patrick’s Day page with fun ideas, free printables, games, recipes and more. 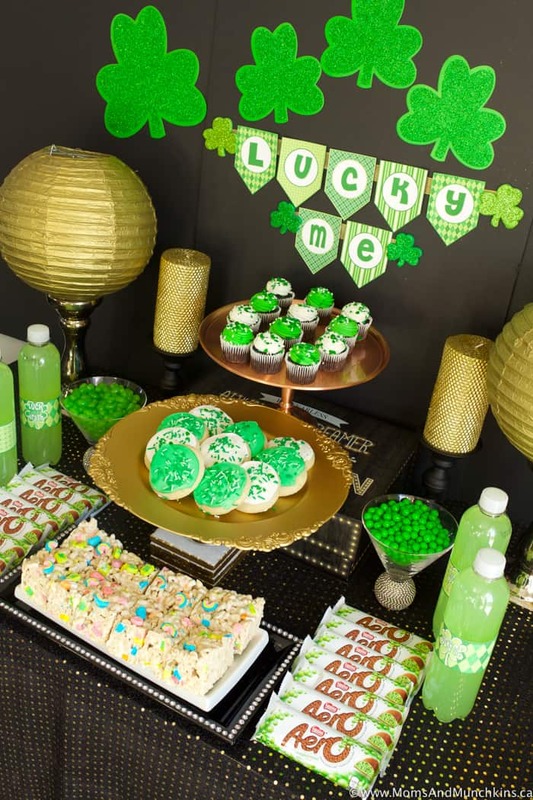 Today we’re sharing a fun St. Patrick’s Day party idea for kids along with free St. Patrick’s Day party printables by Mimi’s Dollhouse. 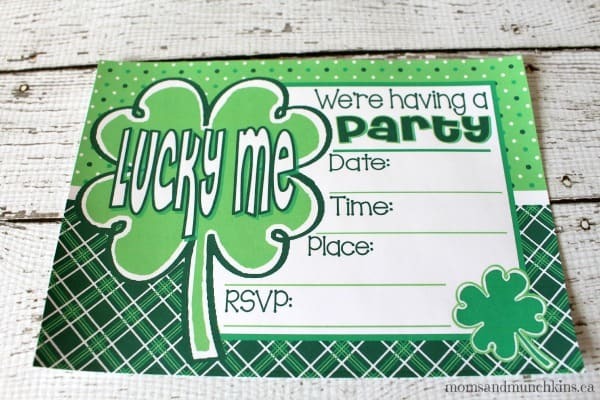 You could set this free printable set to create a party filled with green desserts or maybe you’d rather host a St. Patrick’s Day breakfast with your kids featuring rainbow pancakes and Lucky Charms cereal! Whatever you decide to do, I’m sure it will be fun! 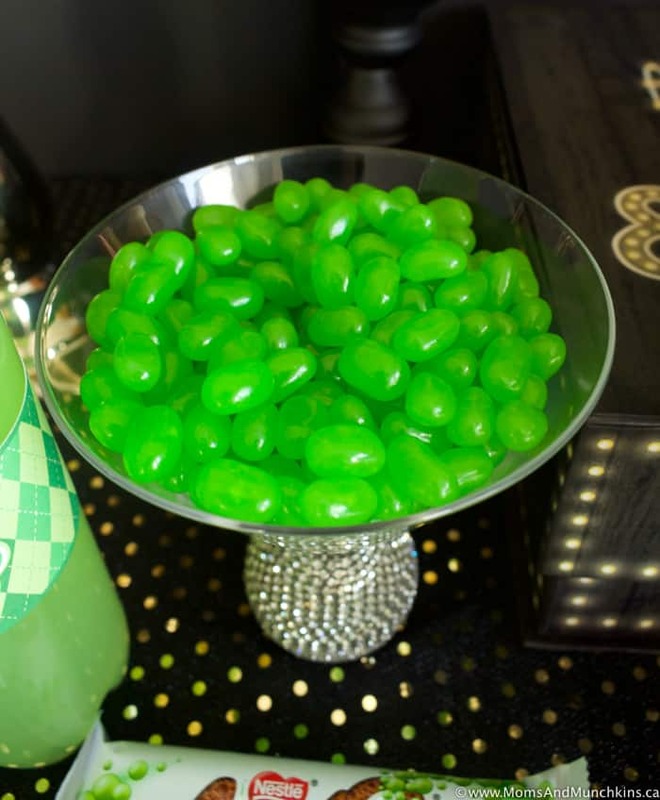 To start with, you need to invite your little guests to the party! Even if it’s just your own children at a family celebration, I’m sure they’d love to receive a little piece of mail with their names on it. 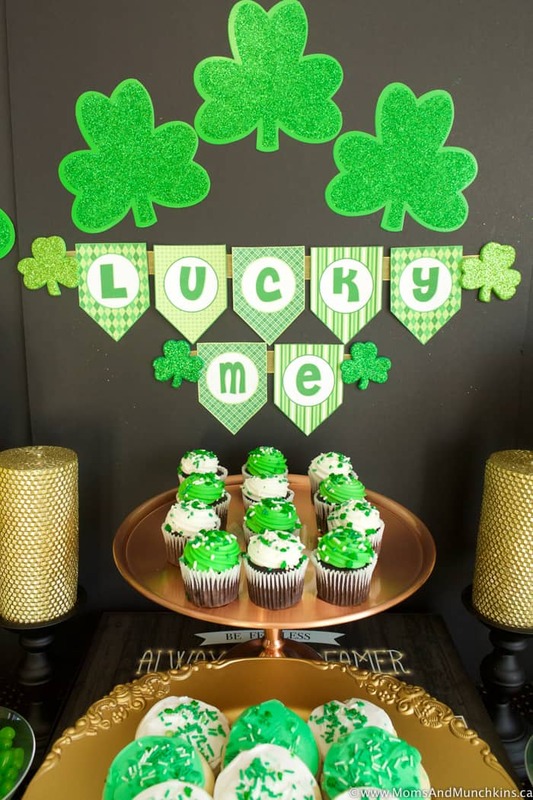 This “Lucky Me” banner looks great with gold ribbon and placed on the wall behind your food table. 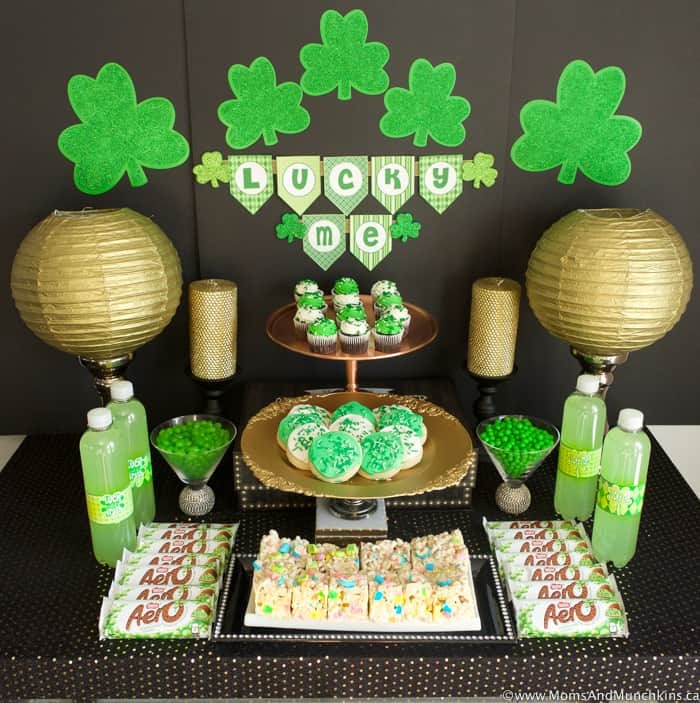 I created this backdrop using 3 black foam poster boards from the dollar store and some green shimmer shamrock stickers. 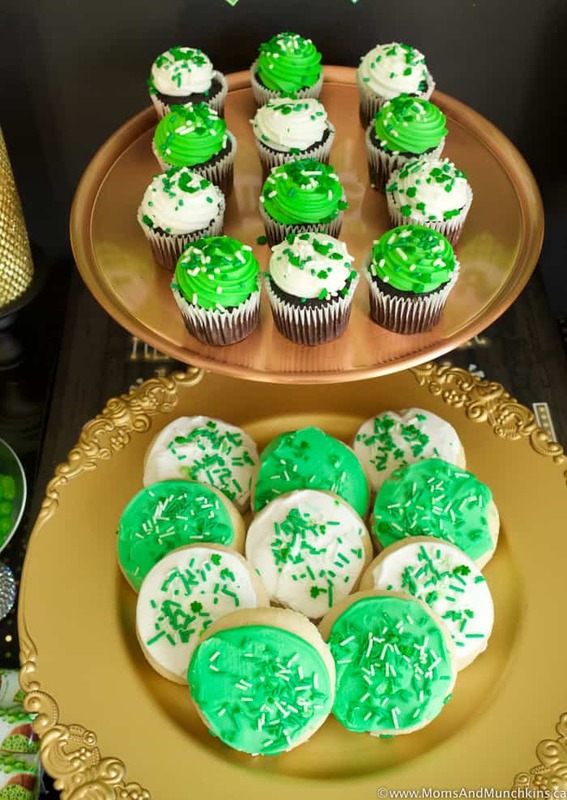 A St. Patrick’s Day party wouldn’t be the same without green treats, right? 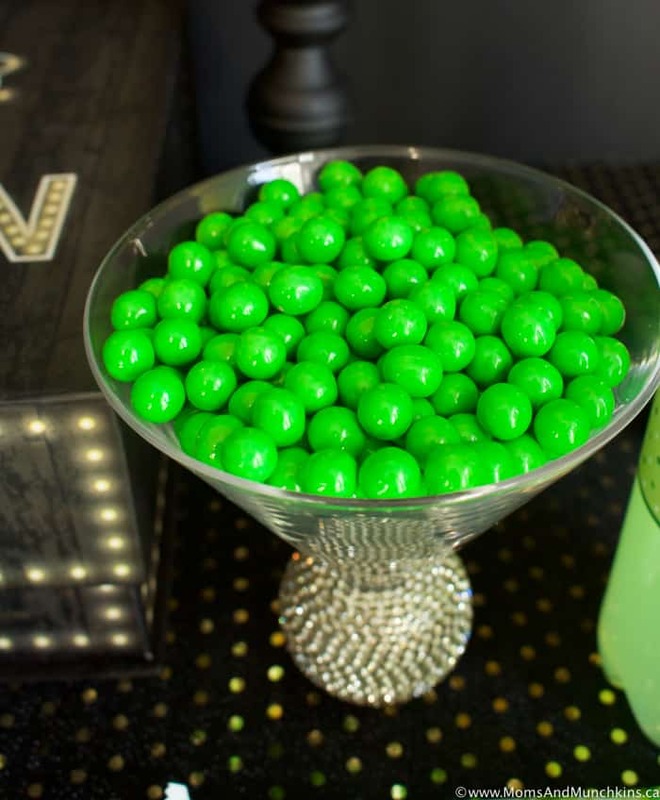 For this party I used green Sixlets (candy coated chocolates), green jelly beans, Aero peppermint chocolate bars, green mini cupcakes and green iced cookies. No, the cupcakes and cookies here aren’t homemade. I took the easy route with those. 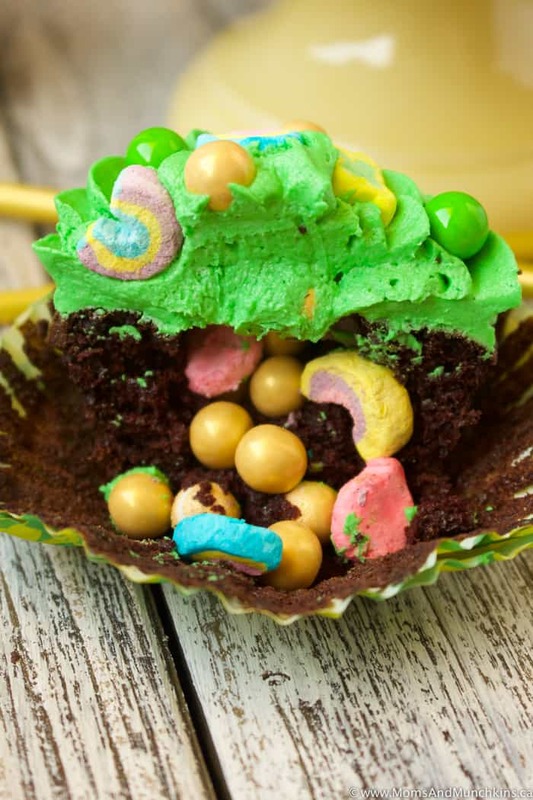 If you wanted something super special, try these Hidden Treasure St. Patrick’s Day Cupcakes. 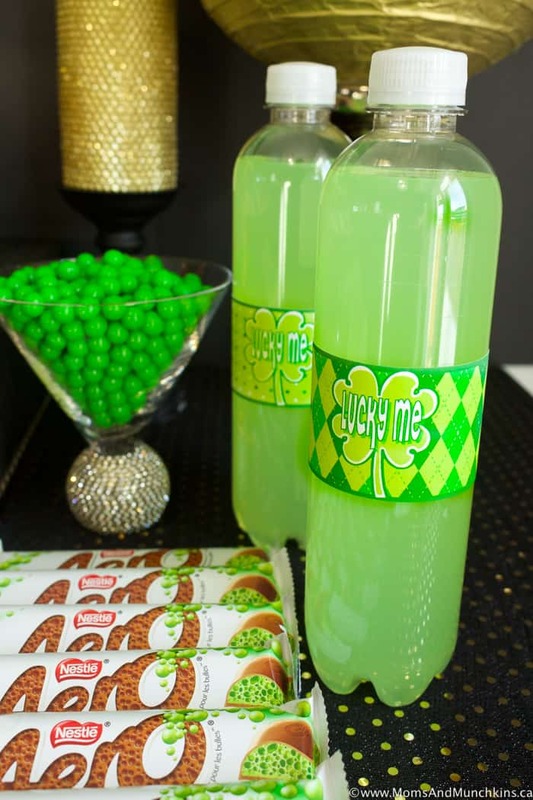 For your lime pop, you can have these match your theme by wrapping the bottles with printable wraps from the free printable set. These wraps also work great for napkin rings! 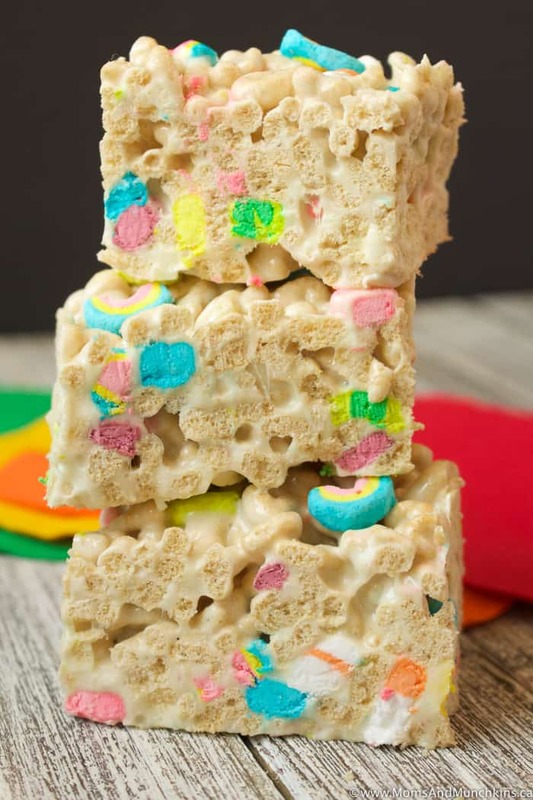 These Lucky Charm marshmallow treats are really easy to make and require only three ingredients. Basically, they are just like Rice Krispie squares but with Lucky Charms instead of Rice Krispies. 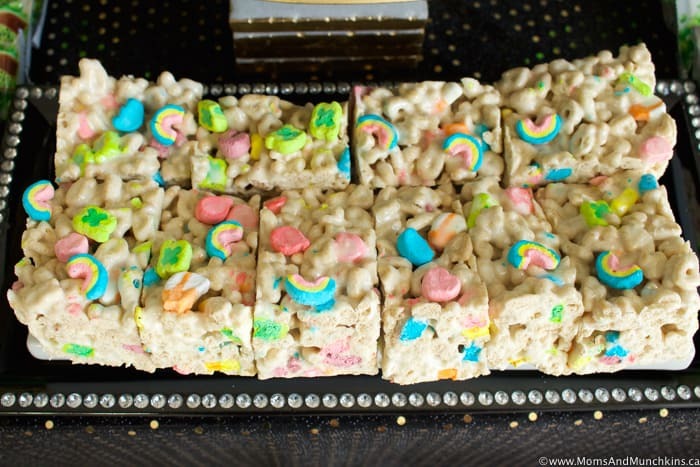 You can find the full Lucky Charms Marshmallow Treats recipe here. 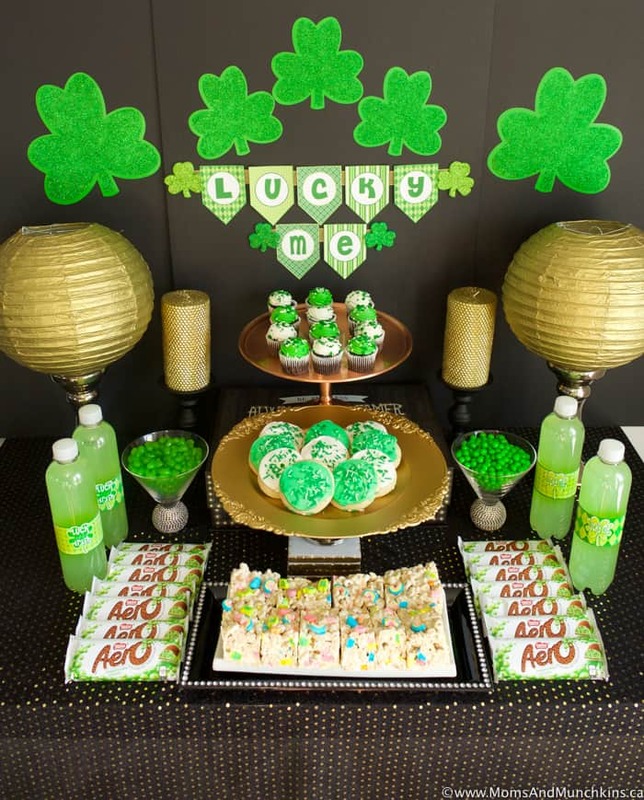 Head over to our special St. Patrick’s Day page for even more fun ideas like treats, free printables, classroom favors for kids and more! We’re always adding new & creative ideas to enjoy with your family. Never miss an update by following us on Facebook, Twitter, Pinterest, and Instagram. Aren’t those push up pop containers fun?! You can create just about anything with them and the kids love them, thanks for sharing our Push Up Pop rainbow idea and showing us how you use them! They are so fun! I have quite a few here so I’m going to have to think of some other creative treat ideas with them. Thank you for allowing us to share your idea! This looks like a lot of fun! 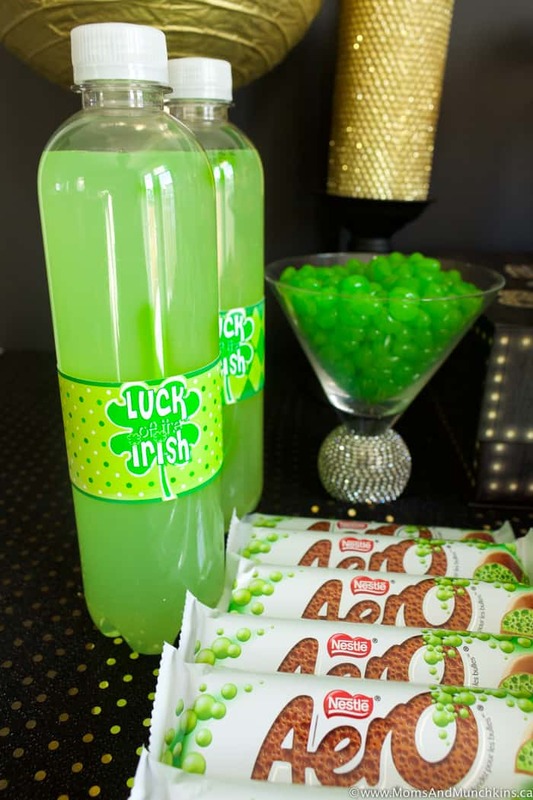 I’ve been gathering my own list of activities for a St. Patrick’s Day party for my kiddos. I especially love the invitations! I found this through the Funky Polkadot Giraffe linky party. Very Inspiring! I am late this time, but these ideas should get me started 🙂 Jumping in from Mom’s Library linky! 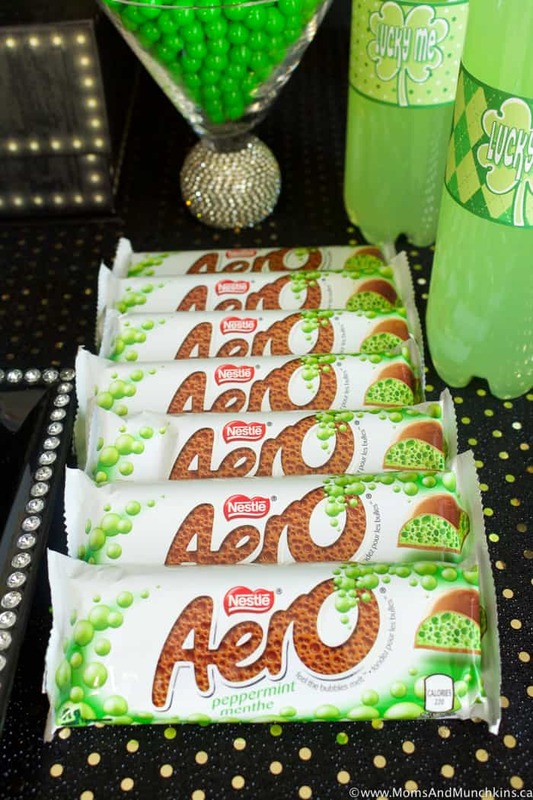 Thanks for sharing the fun ideas..
Cheryl thank you so much for sharing on the After School Party! I’ve featured you on our St. Patrick’s Day roundup. Can’t wait to see what you share this week! Your post has inspired a little afternoon event at our house today with the girls. Thanks!